With a luscious hand-spun look, this bulky thick and thin yarn is simply delicious! Perfect for quick winter knits, you're sure to fall in love with this wonderful yarn! 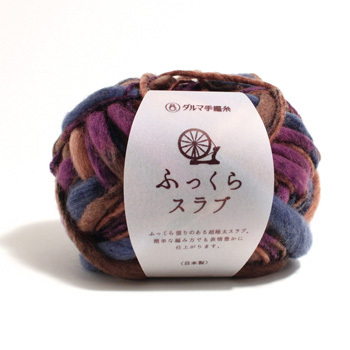 This Japanese yarn is 100% acrylic and comes in 40 gram (26 meter or 28 yard) balls. The gauge is 9-9.5 stitches and 12-13 rows over 10cm (approx. 4") . US size 11 needles are recommended.